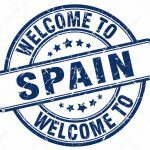 A 5 minute guide for people who want to buy property or land in Spain. It is strongly recommended that you choose an independent legal advisor, Asesoría, who is specialised in Spanish land law (urbanismo). Independent means that they work on your behalf only and are not also looking after the interests of the agent, developer or solicitor. The Spanish property conveyancing system is different to systems established in other countries so you should ensure that those involved in the transaction are qualified and experienced in Spain. Ensure the person you use is licensed and bonded with their professional guild (colegio). They should display their registration number on advertising. This ensures they are qualified to offer you legal advice, gives you recourse to arbitration if they fail to uphold their duties to you and usually ensures they have liability insurance to cover their actions. Exercise extreme caution if an estate agent, promoter or lawyer urges you to cut corners to save money or time. Before entering an offer it is very important that your Asesor runs a check upon the legality of the property. You need to make sure that the property has no limitations entered onto its property deeds (for example, unpaid debts secured against the property, mortgages or right of ways). Spanish properties are registered with two government bodies. The Property Registrar (registro de la propiedad) collects title deeds. The Cadastral office (dirección general del Catastro) registers land boundaries. The property should have a “licence of first occupation”, or in its place an AFO (an occupation license issued to properties built without a building permit but later legalised). In certain circumstances third parties may have the right to exercise rights upon the land or property you are purchasing, this also needs to be checked. The Cadastral office should be consulted to ensure the land boundaries are correct and that no other person has a claim to the land or freehold you are purchasing. Take into account that just because the property already has a title deed this may not mean that that it is fully legal. An Asesor will run the relevant checks with the above bodies and provide you with a report upon the different conditions the property has. A Spanish notary public will be involved in preparing the contract of sale and issuing the public deeds. As the purchaser, you have the right to choose which notary you use. The notary is a public servant who has a duty to provide you with free and impartial legal advice on all aspects of the contract before you sign. It is a good idea to seek advice from the notary early on. When a date is set for signing the contract, you have three days beforehand to visit the notary and ask any questions you may have about any aspect of the contract. At Cervantes Alarcón Consulting we work only with independent, fully qualified professionals who work within the Spanish legal system. We are fully licensed and bonded with the Guild of Economists of Almería (Colegio de Economistas de Almería) and also have professional indemnity insurance. 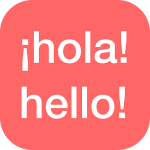 If you do not have a good understanding of Spanish, make sure that you get all contracts and relevant documentation translated by an independent translator. You’ll also need to take a translator to the notary’s office when signing the documents, as the notary will want to satisfy themselves that you have fully understood the documents you are signing. For the official translation of legal documents, you can find a list of accredited translators and interpreters in Spain on the Spanish Ministry for Foreign Affairs website. Only translators on this list are permitted to issue legally binding translations, although these are only needed for certain situations – you won’t need to employ an official translator unless you need to certify documents in a foreign language. Do your homework: you should analyse and compare a range of different products and services offered by different lending companies. If you have any doubts about the terms and conditions, ask the lender to clarify. You should also check that the lender is listed as authorised to operate in Spain with the Bank of Spain. Look for the mortgage which is most appropriate for your capabilities and needs. There are a range of mortgages on offer and you should pay special attention to the interest rate and repayment period, fees for setting up the mortgage as well as early repayment and cancellation fees. If you cannot keep up the mortgage repayments, the Spanish bank could repossess your property in Spain. If the value of the property is less than the total debt outstanding (you are in negative equity), the bank may pursue your UK assets to recover the mortgage shortfall using a European Enforcement Order. Remember that if you end up in arrears and have your property seized by court order, you could end up owing considerably more than the original loan. If for any reason you cannot keep up the mortgage repayments, you should speak to your bank immediately (before defaulting on repayments) to discuss the options available. You may want to hire an Asesor to conduct negotiations on your behalf to come to suitable repayment plan. Before offering you a financial agreement, your lender will normally ask for a valuation (tasación) to be carried out. You are not obliged to use the company suggested by your bank, and can find others online. Valuation companies (tasadores) such as CBRE offer online valuations quotes. Once a finance agreement has been offered by your lender, you have a 10 working-day period within which to inspect and contemplate the agreement before signing. You can check with a notary public or an Asesoría if you do not fully understand the implications of any terms of the contract. Check to ensure you understand the fees involved in the signing of the mortgage. Make sure you fully understand the mortgage agreement you sign, including penalty clauses. If you have any doubts check with the branch during the 10 working-day period after the binding offer has been provided. You will sign the mortgage agreement at a notary public. Again, you can choose the notary although it is usual for high-street banks to suggest the nearest notary to the branch dealing with your application. Further information on mortgages in Spain is available from the Spanish Mortgage Association. you have checked that planning permissions are in order and the property is a legal build. This is particularly relevant when buying off-plan or direct from a developer. The town hall can inform you whether the building has all licences and permissions and provide details of the type of land. If the property is built on rural land or land that is not classified for construction, additional confirmation should be sought from the regional government as to whether they have authorised the construction. You know the cadastral value of the property and how much purchase tax will be due. Be aware that tax is charged on the council’s valuation of the property as opposed to the amount of the sale. You can check this at the regional government’s online tax agency site using the cadastal reference number. The new title deeds will also need to be lodged with the Cadastral office to ensure that the land map is updated with your details. Taxation is a complex issue and it is strongly recommended that professional advice is sought before entering into any decision. As a rough rule of thumb, expect to pay between 10% and 15% of the property purchase price in additional taxes and charges. Also, if the vendor is non-resident for fiscal purposes in Spain, the buyer must retain 3% of the property value and give it to the Tax Office (Hacienda). The vendor can reclaim this money at a later date once all taxes have been paid. Taxes are different depending on whether you are going to buy the property as resident or non fiscal resident. Mortgages will also incur charges and taxes. Cervantes Alarcón Consulting can provide you with an estimation of costs before you buy, so you can organise your finances. We can also carry out financial simulations giving you all the fiscal information to buy the property in the way that would be most advantageous for you. IVA at 10% on top of the sale price, €20,000. AJD (Legal document tax), which varies depending upon the region of Spain where the property is located, the value of the property and your personal circumstances. Expect to pay between 0.5% and 1.5% of the purchase price. The Notary Public will charge a fixed fee according to a sliding scale, and all notaries charge the same, although they are permitted to apply a discretionary discount of up to 10% off the official price. Expect to pay €450 in our scenario. Property Registrar: The charge for issuing new title deeds was €224 in 2017, although this can go up to €350 depending upon additional services. This is an optional service, although it is highly recommended to update the Property Registrar as this is the ultimate guarantee of legal probity. Valuation. Expect to pay a minimum of €250. You don’t have to accept the valuers suggested by the bank, if you can find a cheaper company elsewhere. Most lenders will offer you a mortgage of 80% of the valuation, not the agreed purchase price. If you want to shop around, you can use the same valuation to request different mortgage proposals from different lenders. Property Registrar Report: The bank will request a report from the Property Registrar. Expect to pay €48 for these documents. Cost of opening a mortgage: Lenders will normally apply a charge of up to 2% of the capital lent, although some lenders offer a 0% opening charge. Bank financial advice: A bank will normally employ a third party gestor to arrange the paperwork for the mortgage. Expect to pay up to €350. You aren’t obliged to use the gestor recommended by the bank, and if you have contracted an asesor to check the property they can usually take over this duty, saving you the additional cost. The gestor will ask for a fund provision to pay all the charges and will refund any difference. AJD (Legal document tax): This is a tax upon the issuing of the mortgage paperwork, which varies between 0.5% and 1.5% depending upon the region of Spain you are in. It applies not to the amount of the loan but to the total mortgage responsibility, which is the maximum amount the bank can reclaim from you in the case you default. This is capped at 160% of the value of the capital. Notary fees, which apply to the capital of the mortgage. Again, this is fixed by the national government. 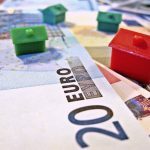 For a mortgage of €160,000 you can expect to pay in the region of €500. Registry: For a mortgage of this size, expect to pay up to €295 to have the mortgage transaction registered. In the case of second hand homes, the main difference is that IVA is replaced by a transmission tax called ITP. This depends upon the region of Spain where the property is located, and your personal circumstances. It can vary between a minimum of 6% and a maximum of 10%. Contact us today if you are thinking of purchasing property in Spain and we’ll give you independent, expert advice that will help keep you safe during the purchase. Disclaimer: Cervantes Alarcón is not associated with any of the websites linked from this article. Information given is for informative purposes only and does not constitute individual legal or financial advice. Consult with a professional before entering into any contract. Historia previa If you’ve recently setup a business, you may be eligible for a personal tax relief….